This is my third ‘Doing’ post about what I have learned about senior leadership from my eight years as Assistant and Deputy Headteacher. The previous two, on ‘Doing’ Data and ‘Doing’ Human Resources are amongst the most read posts on this blogsite. 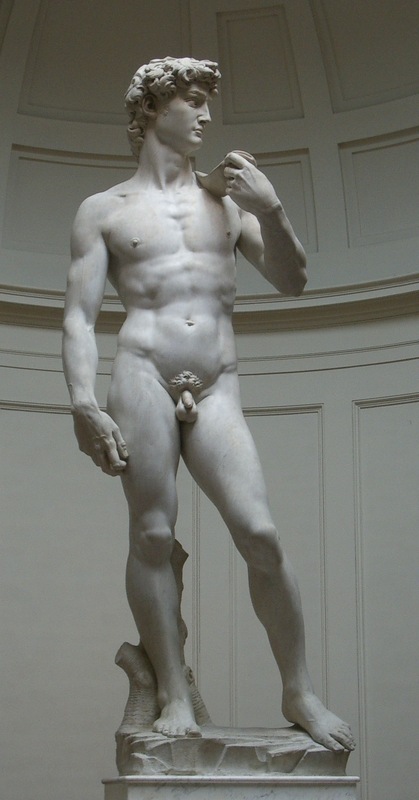 With this one, about ‘Doing’ Line Management I want to use the same format of some explained ‘top tips’ but to help me I have enlisted the help of the famous artist and sculptor, Michelangelo. I think he summarises my key points perfectly. The first thing to bear in mind with all line management relationships is that the person you line manage has immense talents, has amazing qualities and can be successful because of these talents and qualities. But if you don’t line manage people well these talents and qualities can lay undiscovered or can atrophy, so make your line management relationships your number one priority as a member of SLT. This is perhaps one of the best rules for life, let alone doing line management. Reciprocity is one of the most magnificent of human traits. At a shallow level it can lead to a transactional approach to line management (which is okay if uninspiring), but at its best it means that we build bonds of trust and mutual respect. I start every line management meeting by simply asking how the person is because that is what I would want from my line manager. I take pleasure in hearing their stories about their children. I make sure that they feel well upon return from illness, not because of the needs of the school but because of their needs as human beings. And I trust that they are in this job for all the right reasons, as I hope they trust that I am in the job of senior leadership for all the right reasons. When something goes wrong with their work or with the results their students achieve I don’t wade in with my size 9s because I know that if the boot were on the other foot that strategy would serve only to make me kick off. Whatever the challenge that faces you as a line manager in dealing with the issues of middle leaders, step into their shoes for a moment before you do anything. Remember your days in their role and act accordingly. Quite simply put, the most important reason why SLT have more non-contact time than middle leaders is so that they can be effective line managers. Regular meetings are essential (at least once per fortnight), as is time around the department or year team. Time spent properly reading the materials they send you (not scanning and skimming for SLT purposes) is the best way to understand their needs, and face-to-face discussions when little issues crop up is far better than a fired-off email. When you have invested time in the people you line manage they usually end up becoming more successful because of it, which can look like genius to your fellow members of SLT, but is actually nothing more than applied reciprocity. So many line management issues occur without warning that the ability to know and follow one’s instincts are paramount. When the proverbial hits the fan it is easy to default to a cookie-cutter-SLT approach and take the what-would-NCSL-say option. But the fact is that if you have established a good relationship with your line managees (probably no such word) you should have an inner intuitive voice either whispering or screaming at you what is the best thing to do. If so, do it. Instincts and intuition won’t always be right, but they won’t often be wrong. Similarly, when you report back to SLT on issues with those you line manage beware of being swayed by those who don’t have boots on the ground. You may be a lone voice at times, but faith in your understanding of the realities of the situation can make a Henry Fonda of you amongst the 11 other good men in your leadership team. Fundamentally, line management is about optimism, belief and expectation: in the people you line manage and their team and in you and your team. Every new year is a fresh start regardless of the exam results in the summer, good or bad: that’s optimism. The teachers and leaders in the team are the right ones to make those improvements: that’s belief. They will, therefore, achieve even more highly: that’s the expectation. Of course it doesn’t always work out like this for a whole multitude of reasons, sometimes valid and sometimes not, but that desire must always be there because the world of line management is a pitiful place without it. Even in the darkest hours of capability or competency procedures (and blessedly rare as these are, they are never far from being a possibility) the assumption of a line manager should always be that the person at the centre of the process wants to (optimism), can (belief) and will (expectation) make the improvements needed to become effective once more. Line management is about sweating the small stuff or looking after the pennies so that the pounds look after themselves. In the cycling parlance of Team Sky and Team GB under Dave Brailsford it is about marginal gains, especially when you are working with already successful middle leaders. Here’s the admission for this post: I am rubbish at sending cards to recognise individual achievement, but I am a master at having an open door policy where the smallest of small things can be identified and dealt with on a daily basis. I can’t recommend it enough. Sometimes the best line management is done on the hoof simply because you are available, so make yourself available for the little things as often as possible. Schools are full of superfluities that get in the way of teaching and learning. Some come from the students and their families whilst others come from school systems and processes, teachers, leaders and senior leaders. It doesn’t matter a jot where these superfluities come from it is your job, as a member of SLT that line manages people, to eliminate them if at all possible. 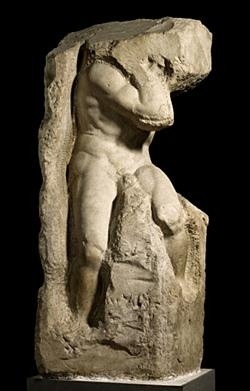 Just as Michelangelo chipped away the superfluous marble to leave behind his beautiful creations so school leaders as line managers must cut out the ‘puff’ (from Alistair Smith) to allow the department or year team to focus on teaching and learning and wider student outcomes. I have heard of ‘Servant Leadership’ before and suspect that this is partly what it involves: hacking away the worst of the vines to clear a route for the exploratory pathfinding of middle leaders as they traverse the rainforest floor (one for @headguruteacher there). One of the challenges of line management in schools is that everyone in a middle leadership role knows what Ofsted and the DfE and League Tables and SLT want from them and are able to articulate this even when the truth is less or more impressive. As a result the SLT member who line manages people needs to develop and hone their observation skills. From watching the body language of their line managee to being around the department as often as pessible to looking at the data with an incisive eye to reading departmental materials observation is the most crucial of line management skills: It usually reveals more than it hides. And I don’t write this in the spirit of CCTV or checking up on people, but in the sense of gaining a more holistic view both of the area you line manage and of the person you line manage. Line management relationships are not formed overnight. And nor should they be. Line management is always a process and never a product: a constant striving that is always left unfulfilled however fulfilled it may seem to be. Although many school leaders want results immediately high quality line managers know that true improvement is always a long-term goal. The highest quality line managers know how to work with departments and year teams in order to do both: short term results to keep the wolves from the door but long term results that best reflect the ideal qualities we want from our teachers and students. Most importantly as a line-managing member of SLT it is important to realise that the patience you show in helping a middle leader achieve success with their team may not be recognised whilst you are line managing them. And that is more than good because line management is never ever about the line manager. Sometimes line management is hard as a member of SLT. Sometimes you end up being given the person who everyone else has written off, perhaps even the person themselves. Unlike working with clay, a material that is eminently malleable when soft but eternally brittle when hard, these people can be the flintiest, most-granitelike pieces of marble to work with. The ability to see the angel within the stone is the mark of a good line manager. The ability to chip away at the things that hide the angel is the mark of a very good line manager. The ability to help the angel emerge is the mark of the truly exceptional line manager. This takes all of the qualities listed above (reciprocity, hard work, faith, desire, detail, purgation, direction and patience) in abundance and usually involves the deployment of them over a prolonged period of time. But when it happens it is the most immensely rewarding experience you will come across as a school leader. This final quote from Michelangelo is about the finished product of sculpture. I would argue that his point is that if the block of marble has been chosen well and the correct amount of skill utilised in its transformation then it will be able to withstand almost anything. Similarly with line management the only success criteria of any value is the sustainability of success beyond the line management relationship. Your job as a member of SLT is not to make middle leaders, their subjects or their year teams dependent upon your input but to roll them down the hill when they are ready for it. The best line management meetings are when the middle leader presents the problem without any panic alongside the potential solutions and an already identified likely course of action that they want you to advise on. That is when you know that you have released the statue from the block of marble, and as the quote below demonstrates, if we are to become true artists in our leadership then we need to achieve this with every single one of our blocks of marble. Finally Michelangelo, in talking about his experiences about sculpting hits squarely on the head the main issues for us line managers. We need to show a deft “chiselled touch”, particularly with middle leaders who are “unhewn and cold”. We need to help those we line manage become a “living mould” who can in turn shape the leadership priorities and actions of others across the school and in other schools. People often think line management is easy but far from it. We need to have patience. We need to be patient. Finally we need patience. Looking after others is important. Moulding, shaping and chiseling away, revealing the inner beauty of a work in progress. Thank you so much for writing this. As somebody who has been line-managed by 7 people in 10 years, I know how key these relationships are-and how long they take to develop. Mutual respect is key of course, and this can only happen is both people involved are trying to understand each other’s positions. For me, the ability of my line manager to understand that is not just a job for me is the most important. Another thoughtful and helpful post Kev, the more we all think about and reflect upon the roles our school leaders have the more we can all benefit! Hello excellent blog! Does running a blog like this require a large amount of work? I’ve no expertise in computer programming however I was hoping to start my own blog soon. Anyhow, if you have any ideas or techniques for new blog owners please share. I know this is off topic nevertheless I just wanted to ask. Cheers! Thanks for the comments. The simple answer is no. I mainly blog directly from my phone using the WordPress app although I am beginning to get more knowledgable about coding as time passes and I tidy my posts up on the web version a bit. But to start, just download the app, choose a username and get going. Oh and use twitter to advertise the existence of your blog. I’m going to bookmark your blog and keep checking for new details about once a week. I subscribed to your RSS feed too. Just discovered this. I’m new to an SLT role and this is really helpful advice- it will be a great help.